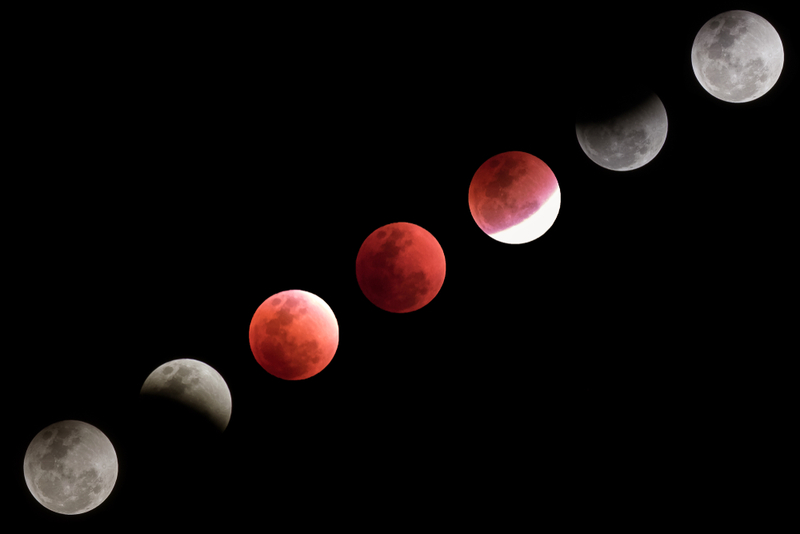 The longest total lunar eclipse of the 21st century will take place this Friday. According to NASA, the moon will be transformed into a reddish-orange Blood Moon for approximately an hour and 42 minutes. The entire event, from when the moon begins to pass through the Earth's stratosphere, should last for six hours and thirteen minutes. With both a lunar eclipse and a solar eclipse, the bodies of the sun, Earth, and moon are perfectly aligned. In a lunar eclipse, the sun is shining directly on the moon, with the Earth behind the moon. With a solar eclipse, the moon is located behind the Earth as the sun shines brightly on the Earth. Unlike the solar eclipse of August 2017, it is safe to observe the lunar eclipse this Friday with the naked eye. The best view of the total lunar eclipse can be had by those in Australia, New Zealand, Europe, Asia, and Africa. In Australia, people will be able to see the lunar eclipse as the moon sets. Those residents of eastern Brazil and western Europe will catch a glimpse of it as the moon is rising. In the United States, the lunar eclipse is expected to start at 1:14 PM Eastern Time. Since the maximum period of totality will begin at 4:21 PM, it will be too light outside for the blood moon to be visible to Americans. Nevertheless, the Virtual Telescope Project will offer a live streaming of the lunar eclipse and Mars at its brightest. Residents of the United States can next expect to view a total lunar eclipse on January 21, 2019. That lunar eclipse is also expected to produce a Super Moon.